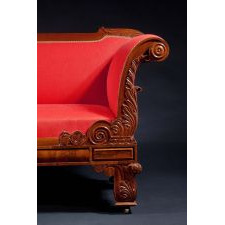 The molded crest rail centering a carved anthemion with arms carved with acanthus leaves, lotus leaves and volutes terminating in molded bosses, and the bolection-molded and paneled seat rail terminating in rectangular paneled reserves above the legs, the legs with acanthus leaves and blind volutes raised on brass casters. Woods: Mahogany and Mahogany veneer. Condition: Excellent; Seat frame replaced, re-finished with shellac in the manner of the period, modern upholstery. 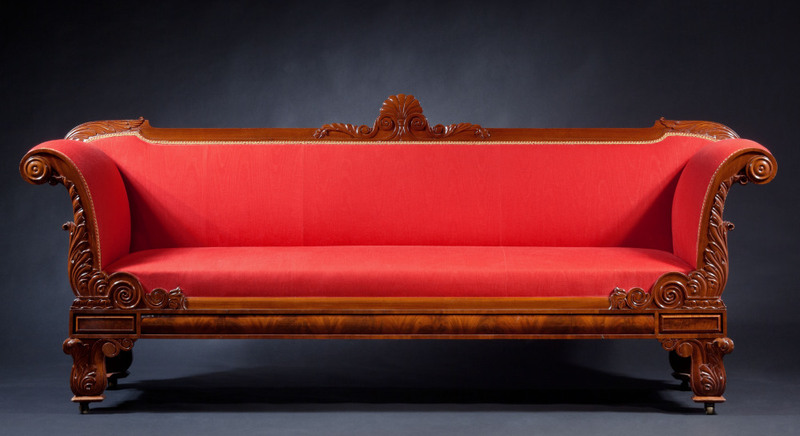 This striking sofa was inspired from sofa designs published in Thomas King's Modern Style of Cabinet Work Exemplified, (London, 1829), p. 10. 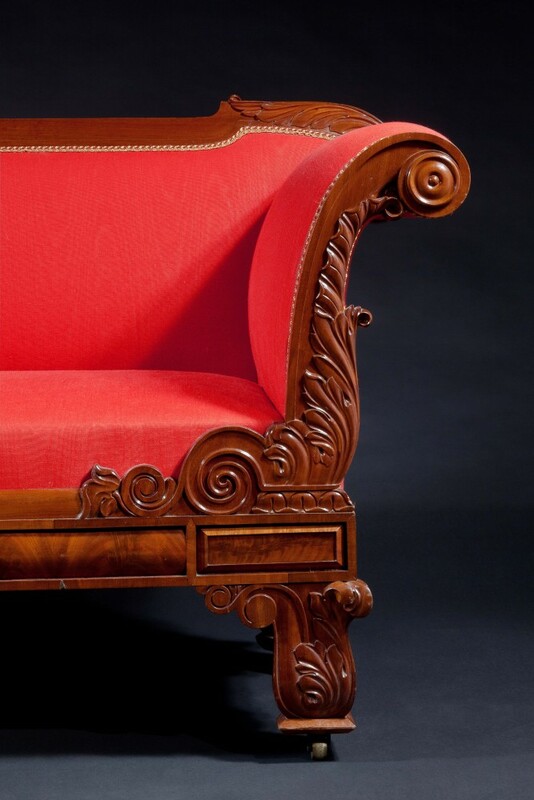 Thomas King's designs seem to have been very influential in Philadelphia and Boston yet the firm most closely associated with their designs is Kimball & Sargent of Salem, whose furniture made for George Peabody in 1834-1837 is documented. This group of pieces is distinguished by the ubiquitous use of rows of lotus leaf carving related to those at the base of the arms of the present sofa. 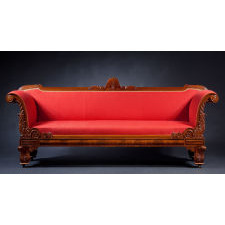 This sofa relates closely to a pair of Grecian couches known in a private collection. Measurements H: 37.5" W: 89" D: 26"